Everton star striker Cenk Tosun has commented on his teammate Richarlison during an interview with Goal Turkey. Tosun has lost his place to the Brazil international in recent weeks. Manager Marco Silva has opted to field Richarlison upfront while Tosun has dropped to the bench. However, Tosun revealed that he has no ill feelings towards the striker and is amazed by his ability. “Richarlison is a very young player. There is a lot to learn, but despite his young age, he is so experienced and dynamic and it amazes me that he is that good,” Tosun told Goal Turkey. 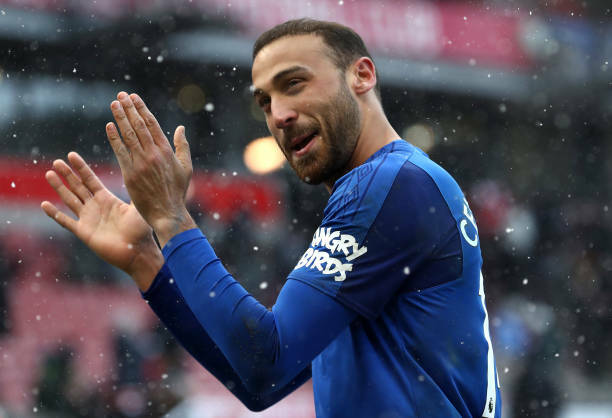 Tosun’s future at Everton is still uncertain. The Turkey international has been linked with a move back to Besiktas in recent weeks.